“Are you half-Asian?” I asked him, my heart pounding in my chest. He confirmed what I already knew--he was. “I’m half-Chinese,” I said by way of explanation. He ran at me and fairly picked me off the floor in a giant bear hug. “Me too!” he said, holding me tight to him. “Hapas unite!” I had bonded with one or two other half-Asians in my life before, but this felt different. Snoopy and I were not only of the same ethnicity, we used the same words to identify ourselves, and that new feeling (coupled with the realities of being fifteen)-- well, it’s enough to make me remember the moment now, a continent away and nearly a decade later. Growing up in California, my parents taught me that “hapa” was the word for my ethnic makeup. They taught me it meant half-Asian. I had a word, an identity, an umbrella to shield myself under. It enabled me to connect with other people of my ethnic makeup, or at least to half-heartedly flirt with men five years too old for me. But it wasn’t until I got to college that I learned that this word was not only uncommon on the East Coast but it had a more complicated history than I’d assumed. “Hapa” literally means “half” in Hawaiian (it is, in fact, a pidgin word borrowed from English.) After the advent of colonialism in the eighteenth century, Whites as the minority were the assumed other in the Hawaiian Islands, so its original use, “hapa ha’ole,” meant half-European, not half-Asian, or even half-Hawaiian. It was a derogatory term for people of mixed race used by native Hawaiians, who were then the ethnic majority in the islands. This, in turn, is complicated by the realities of racial mixing in the era of colonialism, particularly the questions of consent that arise when addressing these issues. 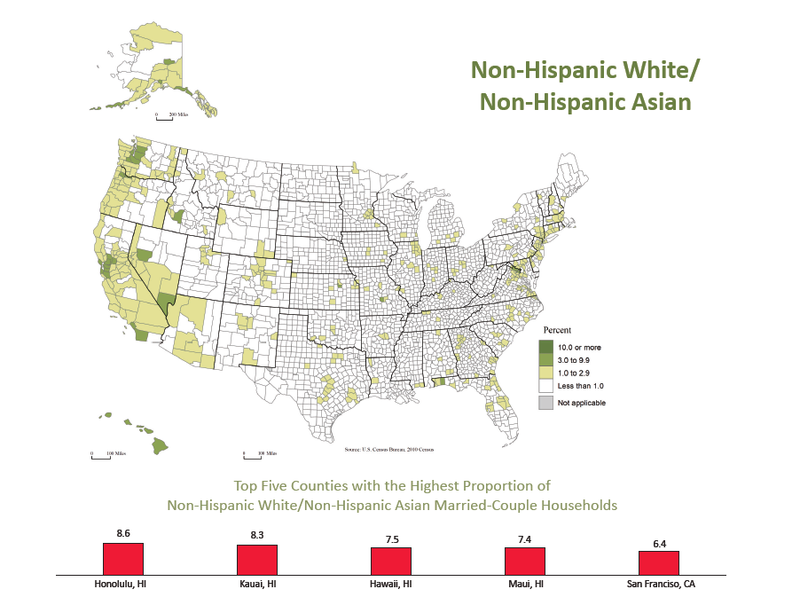 Through the years, “hapa” has been appropriated to its current mainland meaning (half-Asian) meaning it has undergone a change in the assumed racial majority of the society it is used in as well as a lessening of the derisive connotations of the original word. As Wei-Ming Dariotis explains in “Hapa: The Word of Power,” as Asian emigration to the Hawaiian Islands increased during the twentieth century, so did Asian American appropriation of the term “hapa.” In her paper, Dariotis relates that “many Native Hawaiian people object not only to the way the word has been changed in its grammatical usage, but also to how it is applied to anyone of mixed Asian and/or Pacific Islander heritage, when it implies Native Hawaiian mixed heritage. This is not merely a question of trying to hold on to word that like many words encountered in the English language has been adopted, assimilated, or appropriated. This is a question of power. Who has the power or right to use language?” She further explains her conflicted feelings about this revelation, saying that “the word “Hapa” was chosen because it was the only word we could find that did not really cause us pain. It is not any of the Asian words for mixed Asian people that contain negative connotations either literally (e.g. “children of the dust,” “mixed animal”) or by association (Eurasian)”-- she didn’t want to give up the only non-offensive word she had to explain her identity. I, like Dariotis, have always strongly gravitated towards the word, since I grew up with it. It was the only simple answer I could offer whenever society demanded to know what, exactly, I was. I’ve known it since I was born: I’ve always been hapa. Besides, I had this one amazing teenage bonding moment over the word--I couldn’t lose it! But as an Asian American, I am also all too aware of the dangers of cultural appropriation, having seen far too much Orientalism and tokenism in mainstream American media. What to do, then, about "hapa?" We did use it in our series: Caela even wears a sweatshirt printed with “Don’t worry, be hapa,” just like Snoopy’s. I personally can’t imagine my life without the word. And yet I don’t condone any other forms of cultural appropriation: it’s cheap; it’s usually ignorant. I think back to the summer of 2005, when I stood dwarfed by Snoopy’s sweaty embrace, feeling something a little bigger than a teenage crush-- solidarity. A sense of belonging. I agree that, in theory, the word “hapa” should be put to bed by non-native Hawaiian speakers, but realistically, I'm finding it hard to let it go. From Episode 2, "What Are You?" The problem with this question is, for a lot of us blended people, that it doesn't have a simple answer. In most cases, our identities were not something we were born with or something we inherited from our parents. Because our parents are different from each other and different from us. Our identities are something we chose. We love this article because it addresses a question we've heard our whole lives-- "What are you?' -- referring not to who we are as people but our ethnic makeup. "What Are You? ", in fact, is the title of episode 2 of the series, in which Caela and Kelliye encounter two curious guys at a bar, so this article hits particularly close to home for us. You knew it was bad. The numbers show just how bleak it really is. The Producers and Writers branches of the Academy of Motion Picture Arts and Sciences are both 98% white. Academy voters are 94% white and 77% male. In 85 years, only eight people of color have ever won Oscars in the Best Actress or Best Actor categories. Only one woman has ever won Best Director -- and that was only four years ago. This infographic, via one of our favorite AAPI blogs Angry Asian Man, illustrates the stark lack of diversity in the Academy Awards. Lack of diversity in the media is one of the reasons we created this webseries, and to see it laid out visually is striking. This lovely short film depicts a young boy growing up biracial in Thailand. And not to be all "mixed race people are super hot," but just Google Image the director of this film. Foodie Friday: Chicken with Snow Peas! Here's a recipe from the Garvin/Young kitchen for Foodie Friday! 2. Heat frying pan over high heat. Put some oil in. Stir fry chicken. Wait til meat turns white. Remove. 3. Sizzle in wine. Add snow peas. Stir well, add salt to taste. 4. Add gravy mixture and cook til thickened. 5. Serve with rice and enjoy! My co-creator Kelly Colburn and I both grew up watching now-classic 90s Disney movies. In fact, together we have frittered away many hours and too much emotional investment while splayed on my orange couch, watching and re-watching Beauty and the Beast. Growing up, I always dressed up as Belle. I looked the part with my yellow gown, my brown eyes, my brown hair; I fit the part, with my penchant for books. I wrote my college essays about the act of choosing. I wrote about standardized tests where I had to check just one box for my ethnicity, about the multiplicity of eating with chopsticks and forks, eating Yorkshire pudding and lo mi fan. I wrote about being proud of my heritage. And I am proud--more than proud--but the issues surrounding my racial identity run deeper than food or government-issued testing or choosing a princess out of a litany of hand-animated women. For much of my life, I had few role models outside of my own family who were remotely my race. I had Mulan, sure. I had Lucy Liu and Anna May Wong, usually in the role of a dragon lady. I had the women of The Joy Luck Club. Later, I had Michelle Branch, then Maxine Hong Kingston. But that was it. A list of women I could count on my fingers. And then there are my experiences. A couple years ago, my family and I were on vacation near my father’s hometown in Southern California. It was our annual summer trip: we’d drive down I-5 in the heat of cow manure, get on the 405, and spend a week on the beach. Near the end of this particular trip, we decided to visit my aunt, an ER nurse, in her hospital. She showed us around and introduced us to her staff. One nurse smiled, shook each of our hands, turned to my mother, and asked, “And why are you here?” She did not mean to ask what had brought her to the ER, but to ask what my mother, an Asian woman, was doing with a white guy and three kids who looked Caucasian under the hospital fluorescents. We all laughed, because it was funny and because we had to--that was the only option. There are more experiences. There are ladies at the barber asking my mom why we were white. (“Karen! You can’t just ask people why they’re white!”) There are kids on the blacktop making fun of my eyes, but only once they learned my ethnicity. (Or being deemed a “half-breed” by other Asian kids.) There’s wondering whether or not to bring up your race on dates, and wondering whether or not the opposite party will inquire. (“What are you?”) (They usually do inquire.) There’s frequently being the only person sort of color in an artistic setting and, as a half-minority, being asked to speak for all minorities. There are more experiences than can reasonably fit on this page, on any page. There was also a revelation as Kelly and I wrote the series. We had the same “What are you?”s thrown at us, the same questions on our standardized tests, and the same haircut on both of our mothers. Beyond that, our experiences as biracial Asian Pacific American women were markedly different. I don’t know why I thought they would be similar, other than the fact that I had never seen a representation of our racial experience. That’s why I wanted to create this show. The world as the media represents it does not reflect the world around me, and the world around me does not reflect the world I want to see. We are making this show in a tiny attempt to change that, to put out in the world a show about two biracial women valuing their own friendship over all else. We are making this show in the hope that maybe one day little girls won’t have to choose between Disney princesses-- or better yet, that maybe one day little girls will have bigger and better fish to fry. But we mostly made this show so we could sing Disney showtunes in our musical episode. “Colors of the Wind” is a really good song. Not to sound like that Angry Asian Girl who expects everyone to know my ethnic origins upon glancing upon my almond shaped eyes, high cheek bones, small lips and slightly tinted yellow skin, but it is this very fascination with “other” and hiding behind the mask of ignorance that the White majority loves to occupy that makes me an AAG. And even then, I’m not that angry and not that Asian. I have been asked plenty of times in my 25 years on this Earth, “What are you?” which has been the bane of my existence as well as the source of my self-confidence. The question, “What are you?” implies someone unique, someone interesting, someone unknown or mysterious. For a long time, at least 21 years of my life, I’ve never had a problem with being asked this simple, three-word question because it made me feel interesting and beautiful in a way no one in my immediate world was. Never, until recently. Now, I wish I could pinpoint the exact moment I snapped; who was there, where I was, the time of day, the season, what I was wearing, what I had for breakfast, what I didn’t have for breakfast, who pissed me off with some inane question in class, or if I had been berating myself for some anxiety - all I know is that one day, I snapped. “What are you?” became an insult instead of a compliment. I can name dozens of girls who are not of the same ethnic descent as me but who are also plagued by this question of “What Are You?”. Half of the girls I know consider that question a compliment (as I did all those years ago) and others who consider it an insult masked behind ignorance and awe. And ignorance is bliss, right? I am half-Asian and half-White. To be more specific, half-Pacific Islander and half-European. To be more specific, I am half-Filipino, one quarter Scottish and one quarter English. To break it down into the most politically and culturally accurate statement, I am an American with ethnic roots in the Philippines, Scotland and England. But I usually just say, when asked “What are you?”, My Mom is from the Philippines. Which doesn’t even answer their question properly but they seem satisfied. My best friend, Kaela Garvin and I, created this little web series called 2 Girls | 1 Asian to unpack the mystery behind the ethnically ambiguous. A story about two young half-Asian women trying to make it in the Big City who come up against obstacles in their careers and interpersonal relationships and find through the racial and social muck that their friendship prevails above all else. It’s not at all autobiographical so don’t worry. It’s absolutely autobiographical and pure fiction at the same time. The issues that arise in our episodes are problems we deal with in our everyday lives and the fiction lies within how the not-so-fictional characters of Caela and Kelliye view themselves. A dramedy that explores what it means to be a young, ethnically ambiguous minority in show business, in Bushwick, and in practice. “What are you?” is a question that leaves more questions than answers when you begin to pull back the layers of social, political, and racial reprucussions of the mixed-race American.